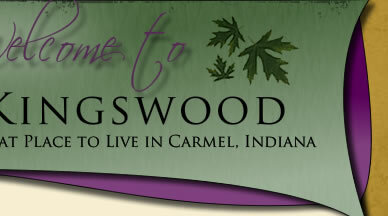 Welcome to the Kingswood Homeowners Association website. This site provides information about our neighborhood as well as links to other community organizations. Thanks for visiting this site. Kingswood Resident Information is available on the secured portion of this website. Need to Register as a Kingswood Resident? Several areas of the website are secure for Kingswood residents only. Please click on the Register tag at the upper left hand corner of the Welcome Page. Forgot your Login ID or password? Follow the prompts and let the website guide you..... It's easy! Securing approval from the Architectural Review Committee is required before work commences on exterior maintenance and improvements to Kingswood properties. Click on the ARC tab to the left to get started. The ARC Committee will provide a response within two weeks for requests submitted in accordance with the instructions provided on the form. If a request cannot be approved as submitted, the committee will provide suggestions to eliminate concerns over covenant compliance issues. PLEASE NOTE: Homeowners who do not get ARC approval in advance of starting exterior maintenance and improvement projects will be required to correct any covenant violations. Any costs associated with removing non-compliant changes and/or bringing projects into compliance with the covenants will be borne solely by the homeowner. In addition to information on the DNR page, Carmel homeowners must also comply with Carmel City Code. The best thing to do if you see a coyote behaving in a threatening manner, is to call the the Carmel Police. Kingswood Covenants require that every lot have a working, dusk to dawn post light in the front yard. Please ensure that your post light is in good working order and that it has a dusk to dawn sensor. Many lots are not in compliance with this covenant and the KHA Board would like to see this corrected as quickly as possible. The Carmel Police have advised that lighting is a major deterrent for vandalism and theft in neighborhoods. Please do your part and ensure your post light is working properly. For those homeowners who are in compliance with this covenant.....thank you. Timely communication to Kingswood residents is made possible through email. As email addresses change, please Log-in and update this important piece of information. Once you have logged in, click to Resident Directory (left hand column of web page). Review your profile and update as needed. Logging in to the secure areas of the web site is easy. Simply click on the Log-in tag at the upper left hand corner of the Welcome Page. We work very hard to ensure that emails sent via the Kingswood website are answered promptly! If you initiate email via www.kingswoodhoa.com, please make sure that you add the email address "hoa@kingswoodhoa.com" to your address book and also check to make sure that our response has not gone to your junk mail folder. Thanks!